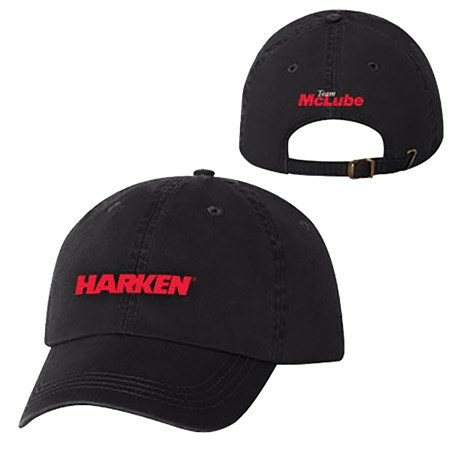 Black-colored hat with red Harken logo on the front and McLube logo on the back. Unisex chino twill 6-panel cap with pre-curved bill. Unstructured; strap constructed of hat material; antique brass slide buckle closure and tuck-in grommet.